Special Offer: Order from ShoutFactory.com and get an EXCLUSIVE 28.5" X 16.5" ROLLED LITHOGRAPH featuring our brand new artwork, available while supplies last! Something evil is happening in the sleepy fishing village of Noyo. 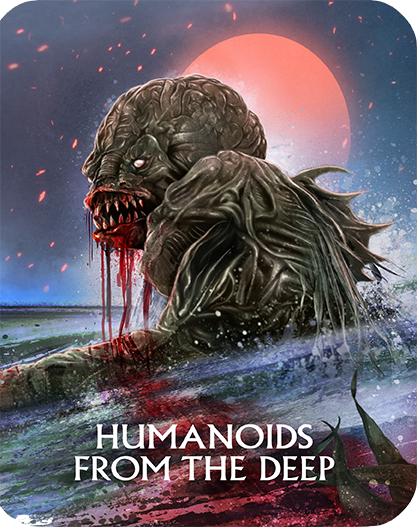 Fish-like humanoid creatures, spawned by mutant DNA, begin rising from the ocean looking to spawn with the local women. 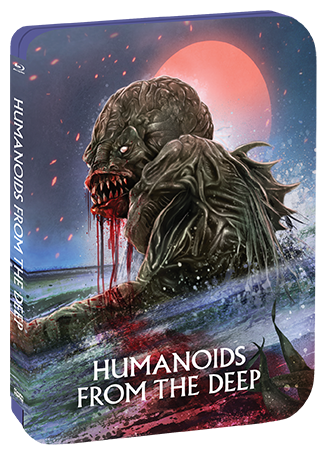 Scientist Susan Drake (Ann Turkel, The Cassandra Crossing), along with local fisherman Jim Hill (Doug McClure, The Land That Time Forgot), looks for the cause of this invasion of creatures from the ocean floor. When the annual Salmon Festival begins, some unwanted guests are about to crash the festivities. Also starring Vic Morrow (Message From Space), Cindy Weintraub (The Prowler) and Denise Galik (Don't Answer The Phone! 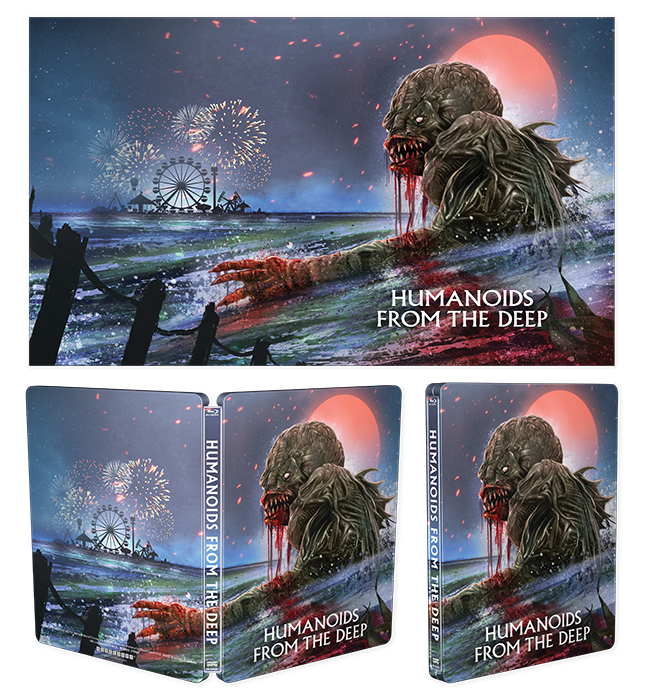 ), the film features an early score from Academy Award®–winning* composer James Horner (Avatar, Braveheart) and special effects/creature designs by Academy Award® winner Rob Bottin (RoboCop, The Thing).